DOG FOOD INGREDIENTS: THE FIRST SEARCHABLE LP LIST! The first searchable pet foods information on inappropriate herbs, neurotoxins and addictive pet food ingredients that cause behavioral or health problems. Pet foods often contain ingredients that cause itching, loose stools, diarrhea, even bloat. Use this patented Quick Find™ feature to check your current dog food label for risky ingredients which serve no purpose other than to attract consumers and boost sales. QUICK-FIND (Depress your Ctrl key and the letter F, in the box, type the symptom or ingredient and click "find next"). Your animal’s health is most affected by what it ingests, day after day. Would you eat sage or rosemary every day? Both are powerful neurotoxins. Do puppies need chondroitin and glucosamine? A wise owner will carefully examine cat and dog food labels to determine if there are any unnecessary or risky ingredients which could cause psychotic, fertility, or sub-clinical health problems. Herbs and nutracueticals are not recommended for daily use but many pet food brands proudly proclaim herbs, "remedies", flavorings, spices, or nutracueticals on the ingredients list while concealing other, potentially harmful or addictive ingredients. Some pet food manufacturers boast about ingredients such as glucosamine, chondroitin, perna and MSM, which are not appropriate for every pet, every day, at any age! Many breeders know about inappropriate ingredients so they feed raw or homemade food but most owners rely on commercially prepared foods for convenience. After reading the long and confusing ingredients list below, we know you will purchase pet foods with the shortest list of ingredients, and which start with MEAT. Such companies do exist. Right out of the bag (pun intended), you should know that there may be unidentified ingredients in any brand of pet food. One example is Merrick’s Pet Care, makers of both cat and dog food. The 2011 website listed questions that are asked about their products. In answer to “What is the sprayed on gravy made of?” they enthusiastically answered in the section for dry dog food “Our home-style gravy is made with a combination of all natural ingredients - did we mention they are a family secret?” This is not the Colonel’s secret recipe! It is meant to be fed to your pet every day. Many cat owners complain that their pets are so addicted to a certain brand or type of food, they refuse real meat, even cooked fish! Secret or undisclosed ingredients could contain a variety of oils such as recovered cooking oils, oils from herbs such as Rosemary or Sage (ii neurotoxins) or flavor enhancers (ii excitotoxins). To find out what ingredients are in your dog’s food, write to that pet food company and cc the FDA to formally inquire about ingredients and labeling. Surely the USDA, FDA, and FTC is aware of ingredients deception in the pet food industry. Consumer sites have exposed similar problems in human foods, particularly those containing hidden MSG. The FDA still classifies MSG (monosodium glutamate) as GRAS (Generally Regarded As Safe), and while they are aware of hidden excitotoxins in human food, warnings are consumer driven. So far, there is no indication that the government will require labeling of MSG and other excitotoxins. Long used as cattle feed, Alfalfa contains saponins (has soap like foaming action) and is believed to reduce iron absorption in humans and single-stomach animals. Cows (ruminants with 4 stomachs) are able to digest such forage but this ingredient in cat or dog food may cause upset stomach, gas and diarrhea or have a laxative effect, therefore loose stools are a potential side effect. Skin allergies have been reported in the human population and alfalfa supplements have been linked to lower blood sugar levels, Lupus-like effects, thyroid level increase, and gout. Alfalfa seeds contain high levels of the toxic amino acid canavanine and should be avoided by the human population. Alfalfa is reported to affect estrogen levels which should signal breeders to avoid pet foods containing this ingredient. ASPC Animal Poison Control Center lists Almonds. Like all nuts, almonds contain fats, which can lead to gastrointestinal upset, such as vomiting and diarrhea and may lead to pancreatitis. This slaughter house waste is rarely specified on the label as “chicken blood, cow blood, or swine blood”. The disgusting mixture is used in fertilizer and the FDA approves it as an ingredient in cat and dog food. Dried blood may be high in protein but it is a poor substitute for healthy meat! Digests are animal tissue and materials treated with heat, enzymes and/or acids to form concentrated natural flavors. Digest is the least desirable form of slaughter residue and since it may contain beaks, feet, “hidden MSG”, etc. it would be wise to choose a better quality pet food. A probiotic ingredient widely used in the poultry and livestock industry. It produces an extra cellular enzyme known as subtilisin, which can cause dermatitis and respiratory distress when present in detergents used by the human population. A study for use as a biocontrol agent for malaria-carrying mosquitoes showed that it could infect and cause mortality in the larvae yet it is not presently known as a pathogen. Contains estragole, believed to be carcinogenic. There can be side effects for people with kidney and liver damage when used in supplements. Some experts think that it stimulates uterine contractions. Basil is a herb. Herbs are listed on the ASPCA Animal Poison Control list of human foods that should not be fed to dogs or cats. The Environmental Working Group (EWG) tested dog foods and found that there were extremely toxic levels of this ingredient due to the long steaming processes used for making meat meal (poultry or animal) and bone meal. The high fluoride content was due to the use of fluoridated municipal water. It poses a greater problem when it appears in the first 3 ingredients on the label. The Bifidobacterium may show up by any of these names: B. Bifidum, B. Breve, B. Infantis, B. lactis, B. Longum, Bifido, Bifido Bacterium Longum, Bifidobacterias, Bifidobactéries, Bifidobacterium, Bifidobacterium adolescentis; Bifidobacterium animalis, Bifidobacterium bifidum; Bifidobacterium breve; Bifidobacterium infantis; Bifidobacterium lactis; Bifidobacterium longum, Bifidobacterium thermophilum, Bifidum, Bifidus, Bifidobacteria Bifidus, Lactobacillus Bifidus, L. Bifidus. These are all ii probiotics. The FDA requires that pet food companies refer to probiotics as microbials. But a close look at the names should make us wonder where the laboratory actually obtains the bacteria for their cultures. FDA plainly states that the AAFCO “indicates that Biotin does not need to be added to cat food unless the diet contains antimicrobial (probiotics) or antivitamins compounds because biotin is likely produced in the cat's small intestine, and also found in some meats, legumes, and brewer's yeast. No biotin requirement was found for dogs. Once used as a medicine, pepper may be added as an extract sold for healing, aromatherapy, and flavoring. The addition of black pepper as a pet food ingredient appears to be a “natural health food” trend but dogs and cats do not need it. Pepper should not be added for the purpose of remedying a supposed health problem as determined by a pet food company! Black Pepper Extract is used in some natural animal repellants. It is classified as an herb and falls into the category of human foods that the ASPCA says to avoid feeding to cats and dogs. Brewers Yeast is made from a one-celled fungus called Saccharomyces cerevisiae and is used in making beer. It has a bitter taste and may cause gas. There is speculation that loose stools, so problematic in commercially-fed pets, could be connected to this ingredient. Brewers yeast contains B-complex vitamins but does NOT contain B12, an essential vitamin found in meat and dairy products. While Brewers yeast and/or garlic are thought to repel fleas, treatment for parasites should not be included pet food. chicken, turkey, beef and lamb broth, fish broth, or salmon broth are additives from the prepared food industry. Such broths have been identified as sources of hidden MSG, known as excitotoxins. The rapeseed (Latin for turnip) was genetically modified to remove the bitter taste that kept cattle from eating it, then it was given the name Canola. It became a cash crop raised for oil production (vegetable and biodiesel) and protein meal (animal feed). It is widely controversial and was found to deplete vitamin E in piglets to a dangerous level. This food additive ingredient is hidden MSG which is now known as an excitotoxin. A culinary herb with a history of medical uses. Stalks and roots are used as vegetables. Celery contains psoralens which can cause sun sensitive skin in humans. Celery can also bring on oedema (fluid build-up in the body), hives, respiratory problems, and even systemic anaphylaxis (a life threatening reaction) with vascular collapse in humans. This ingredient falls in the general “herb” category which ASPCA Poison Control Center advises to avoid feeding to pets. Non-digestible dietary fiber for humans, also used for dogs and cats. Some ruminants (animals with two stomachs) can digest it with the help of microorganisms. Adverse effects are not uncommon with such ingredient additives in pet foods and may cause loose stools. Use includes several varieties, all containing a mildly toxic component called Courmarin, but some types have less than others. Side effects may include skin reactions, and in high concentrations, it may contribute to diabetes or liver problems in the human population, here's instant information specific to ii Canine Diabetes. There is no known reason to add cinnamon as a pet food ingredient other than to appeal to dog owners who like the taste. A member of the ragweed family (which includes Marigolds), allergic reactions have been reported in the human population. Chicory roots have been baked, ground and sold as a cheap coffee substitute and additive. The foliage has a high protein and mineral content that is suitable for grazing sheep and dairy cattle. Large amounts of chicory can cause miscarriage in humans but not enough is known about safety during breast-feeding. Chicory may increase bile production. It may be found in some dog foods based on the unproven claim that it may have “an anti-parasite effect.” Pet food producers seem to gravitate towards adding ingredients promoted as human health aids while skimping on the healthy meat protein carnivores require. This is normally a remedy for arthritis and degenerative bone and joint problems. It is considered a nutraceutical (this name represents the blurring of lines between food and drugs), and there are no clinical studies to support the use of it in dog food and cat food. Side effects range from nausea, diarrhea, stomach pain, bloating, and vomiting to elevated blood pressure. It is a natural blood thinner, therefore use should be suspended before surgical or dental procedures. Since this warning does not appear on pet food labels, Chondroitin Sulfate could be problematic. There are however, warnings from the nutraceutical industry for use during pregnancy and breast feeding. This ingredient should be of concern to breeders who have experienced reproductive problems that they believe are caused by an ingredient in pet food. There are unsupported claims that it lowers blood pressure, hydrates the body, cools skin, and is a rich source for essential nutrients in humans. Cucumber is high in potassium and excess ingestion can lead to loss of fluid and electrolyte imbalances. Cucumber contains patches of bitter taste which are extremely toxic, tetracyclic triterpenoids of cucurbitacins compound, excessive consumption of which can be deadly. Like many such window-dressing ingredient additives, cats and dogs would not seek it out or eat it unless starving. Adds a nutty peppery flavor to foods eaten by the human population. Excessive use of cumin can cause sun sensitive skin in humans. It is of no value as a pet food ingredient. This herb can induce photo-dermatitis in some people and the rash-like response can become visible with exposure to sunlight after ingesting dill. It is of no value as a pet food ingredient. In 2009, Dr. Steve Weinberg, founder and CEO of 911 Vets published a warning not to feed pet food containing Enterococcus after he traced urinary tract infections in cats and dogs to pet foods containing this bacteria. It is a recognized pathogenic and is reported to be resistant to several types of antibiotics. Considered a “supergerm”, it is a major concern in the medical community where it is believed that this bacterium can spread throughout the body causing infections in the blood, heart, urinary tract, and even the nervous system. This probiotic is considered a supplement therefore there is no FDA testing even though a University of Guelph, Ontario veterinarian suggests that Enterococcus and other probiotics should undergo the same scrutiny as antibiotics. Sometimes listed as EDDI, it appears to be used as an iodine supplement. It may react with sulfates and release free iodine. Calcium Iodate (currently in many pet foods) is indicated as the most stable iodine supplement and would appear to be a better choice of iodine supplements. EDDI was once used in skin ointments but now it is rarely found in cosmetics and toiletries due to allergic skin responses in the humans. Industrial uses include epoxy resin (glues, adhesives, and paints), coolant oils, rubber latex, solvent, fungicides, textile lubricants, color developers, antifreeze solutions, electroplating solutions, and floor polish remover. The outcome was not good when researchers tried using it to prevent foot rot in cows. Scientists have reported fluoride, PCB, and mercury in many kinds of wild fish. Levels in farm raised fish are reported to be higher. We do not know if fluoride or PCB and mercury could become concentrated while processing fish and bones into fish meal, so we have concerns. Sometimes shows up as Flaxseed Oil for Omega 3. AAFCO does not indicate Omega 3 is required nutrient for cats or dogs but this is an ingredient that should be of concern to breeders. Depending upon intake, studies indicate that the phytoestrogens in flaxseed (and some other oils) may affect hormonal balance interfering with the reproductive system. There are no documented studies on young children and infants, but it is “not recommended” as a supplement for nursing babies so one might assume it would not be appropriate in puppy or kitten food. Flaxseed oil may also affect blood clotting factors. ASPCA Animal Poison Control Center lists Flaxseed on its lists of things to avoid feeding dogs and cats. While many dog owners and breeders have used garlic and garlic powder in dog food for years without incident, more recently its use has come into question. Although the small amount present in some commercial pet foods has not been indicated as a cause for problems, garlic (and onion) contain sulfur compounds that can cause stomach irritation and possibly cause anemia if enough is consumed. The ASPCA’s Animal Poison Control Center now recommends that this ingredient not be fed to dogs and cats. Asians and folk remedies have used ginger for centuries but in large amounts, ginger can cause uterine contractions in pregnant women. It is known to interfere with absorption of iron and fat soluble vitamins and due to ginger’s blood thinning effects is not recommended prior to surgery. It has been used successfully as a remedy for nausea and motion sickness. While rare, in the human population it may cause mild heartburn, diarrhea, mouth irritation, itching, hives, rash, difficulty in breathing, choking, swelling of the face, mouth, lips, or tongue, abnormal urination, and drowsiness. We failed to establish a need for ginger in pet food. While Cargill, Inc. is making glucosamine hydrochloride from corn and claiming to be the only USA producer, most such products on the market are made from the outer shells of shellfish and much of it comes from India and China. Most makers claim there are no known side effects from glucosamine hydrochloride (then why include it if it has no effect?) but many nutritionists consider it risky for people or pets that are allergic to shellfish which can cause severe reactions in humans, including anaphylactic shock. In addition, some dogs and cats could react to the version made from corn. It is used as a remedy for osteoarthritis and probably should not be used in pet food that will be fed to pets that do not need treatment. If your pet exhibits stomach upset, indigestion, gas, bloating, diarrhea or chronic itching, you may wish to avoid corn-based ingredients and/or shellfish derivatives such as Glucosamine Hydrochloride which incidentally, does not show up on the AAFCO list of required nutrients. It is also noteworthy that glucosamine and Chondroitin are considered nutraceuticals and therefore are not strictly controlled by the FDA. Also check labels for poultry by-product meal or fish meal ingredients listed as natural sources of glucosamine. The extract is from the leaves of the Camellia sinensis plant and is used for medicine. According to the National Institute of Health, it is possibly safe for most people for short term use but can cause stomach upset, constipation, liver problems, and reduce the absorption of iron. It makes anemia and anxiety worse. NIH advises against green tea if you have a bleeding disorder, during pregnancy, or breast feeding. It can cause irregular heartbeat, affect blood sugar in diabetes, and increase pressure inside the eye affecting glaucoma. It can increase the amount of calcium that is flushed out in the urine. Interactions with many medications can be major, speeding up the nervous system and heart rate. It interacts with stimulant drugs, heart drugs, antibiotics, and cancer drugs. All of the listed adverse effects are in the human population but notably, the ASPCA Poison Control Center lists green tea extract on its list of things to avoid for cats and dogs. This oil is used to dress leather goods, in soaps, as a machinery lubricant, and in trendy fish oil supplements. In humans, fish oil can cause belching, nausea, loose stools, rash, and nosebleeds. Some authorities refer to fish oil as a bi-polar medication due to the Omega-3 oil content. Herring or any fish oil might be better classed as a nutraceutial carrying special warnings for people with liver disease, bipolar disorder, depression, diabetes, high blood pressure, and a potential interaction with certain medications. It has no practical purpose as a pet food ingredient. Other names for it include: Antialopecia Factor, Cyclohexitol, Dambrose, D-Myo-Inositol, Hexahydroxycyclohexane, Inose, Inosite, Inositol Monophosphate, Lipositol, Meso-inositol, Mouse Antialopecia Factor, Myo-inositol, and Vitamin B8. It is a vitamin-like substance found in many plants and animals but can be made in a laboratory. It is used to treat a variety of human conditions from diabetic nerve pain to panic disorder. It is probably safe for most adult humans but can cause nausea, tiredness, headache, and dizziness. Inositol appears to be a nutraceutical with side effects, both good and bad. Some pet food makers may follow the trend created by the natural supplement industry but it is doubtful that your pet needs Inositol and AAFCO agrees. This is a food fiber that can be chemically extracted from any of more than 36,000 plants. It is one of many “functional” ingredients from the burgeoning industry that provides prebiotics for probiotics. In plain English, inulin is an indigestible carbohydrate that will make bacteria multiply in the colon. Neither needed nor recommended as a pet food ingredient. Referred to as a probiotic by the industry that supplies it, we have also seen it referred to as a drug. According to the Mayo Clinic lactobacillus acidophilus should be avoided if there is intestinal damage, a weakened immune system or overgrowth of intestinal bacteria. These do not seem like conditions pet owners would recognize in their dogs and cats. It has not been approved by the FDA for treatment of anything. Stomach upset is considered normal for a few days, but other symptoms are serious and include rash, itching, swelling of the face, tongue or throat, dizziness, and breathing problems. The National Institute of Health points out that the FDA does not regulate lactobacillus acidophilus or any herb or supplement, so there is no guarantee of safety, purity, or strength but FDA states there are rare reports of heart valve infection from lactobacillus acidophilus and there is a risk of serious infections or bacteria in the blood. This substance is not always as labeled as an ingredient but it can be contaminated with bacteria that causes disease. The Peace Health Organization indicated that several antibiotic therapies could cause dangerous interactions if used concurrent with Lactobacillus Casei and other probiotic bacterias. There is no indications of value as an ingredient in pet foods. This supplement may be contaminated with disease causing bacteria. Side effects are intestinal gas. Safety is unknown. 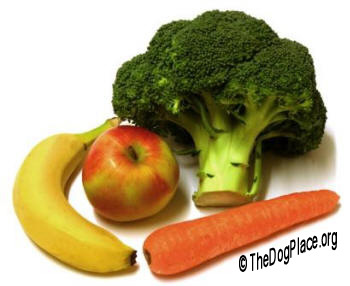 It is a probiotic and loose stools are a possibility for your dog or cat. Unless veterinarian prescribed, no “remedy” should be included in cat or dog food. 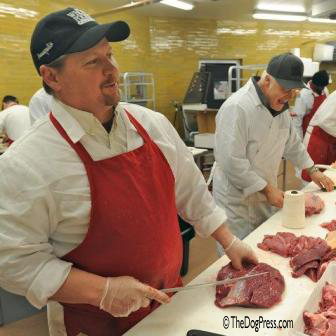 The Environmental Working Group (EWG) tested dog foods and found that many contained extremely toxic levels of fluoride due to the long steaming processes used for making meat meals (meat from any poultry or animal) and bone meals. The fluoride content was due to the use of municipal water containing fluoride. This food additive, when derived from soybeans is hidden MSG which is now known as an excitotoxin. Sometimes it will be listed as soy lecithin, but we have no assurance that soy will always be indicated. As a side note: most dog food manufacturers discontinued use of soybean in the foods due to high frequency of gastric torsion, i.e. "bloat." Since one suggested use was a squirt of lemon into a dog’s mouth to break him from barking, we can surmise that they don’t like the taste! Surely cats would not prefer it. Citrus juice has an erosive effect on tooth enamel and a worsening effect on gastro esophageal reflux disease systems in humans. There is no reason to think that pets would benefit from this ingredient. Uses include culinary, cellulite reduction, insect repellent. As a medicinal herb, lemongrass is thought to be a mildly diuretic stimulant (tonic). Avoid this ingredient in pet food. Sometimes referred to as Calendula, marigold extract can cause allergic reactions in humans, including rash, itching, swelling, dizziness, and trouble breathing. In animal studies that referred to it as Calendula, tightening effect on the uterus was indicated, along with possible sperm toxicity and problems for fertilized eggs. Dog and cat breeders should reject this ingredient. Perdue claimed that they fed Marigold petals to their chickens as a marketing tool, bragging that it made chicken skin yellow. They quietly stopped using Calendula/Marigold and the chicken skin turned back to a normal white color. Cat and dog owners should question any product containing Marigold or Calendula. This is the residue from sugar cane processing. Could it be that so many questionable ingredients cause such a bad odor or taste in pet food that it must be covered up by molasses? There is no reason to think that pets would benefit from having this ingredient in their diets. Scientists indicate that it is carcinogenic and suppresses the immune system. The FDA does not require this explanation on the label. Natural Caramel Coloring shows up on excitotoxin lists. Natural Caramel Coloring usually indicates MSG flavor enhancers. Consumers are becoming suspicious of added flavors, since natural flavor is on the list for excitotoxins. While celery is generally considered healthy, what is celery flavor and is it possible that this ingredient could be hidden MSG? This food additive is hidden MSG which is now classified as an excitotoxin. These contain high levels of Omega 3 which is not indicated by the AAFCO dog or cat Nutrition Profile. Navy beans also contain purines which are in all foods but this ingredient (like organ meats, mackerel, herring, sardines, mussels, and yeast) contains high concentrations. Dogs do not need beans, would never eat them by choice, beans cause gas, raise the risk of bloat, and serve no nutritional purpose other than to raise protein levels on the ingredients label. Double this conclusion for cats. Often used as a garnish and in Mediterranean dishes, it has the potential to cause uterine contractions in pregnant women. People with kidney or gallbladder problems are cautioned to avoid parsley. Skin reactions have been reported. Parsley oil can be toxic; adverse reactions include headache, giddiness, loss of balance, convulsions and even renal damage. It may sound good on the dog food label but would seem to be another ingredient pets can do without. Rosemary and sage are neurotoxins. Thyme has been used as a herbal remedy for a variety of conditions. The addition of these in the pet food may be sprinklings but could be plant waste or extracts which are much more problematic. This herb contains neurotoxins and could result in seizures in dogs and cats. Rosemary extract is now being used, along with green tea extract, in the processing of small cuts of meat and chicken for the purpose of killing microbes. Feeding any of these mass-processed meats or chicken to your pet raw and unwashed has the potential to present problems. This herb contains neurotoxins and could result in seizures in dogs and cats. Likely it is not a sprinkling but a concentrated liquid extract that is now being used as a natural preservative in some products. 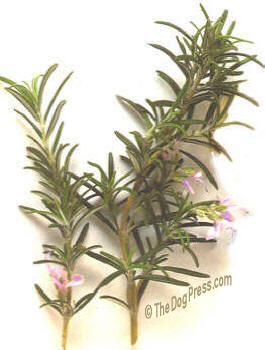 In addition, sage, like many herbs will help your pet to attract fleas. There are concerns with both farm-raised and wild salmon. Farm raised (Atlantic) salmon are considered the worst by the Environmental Defense Fund (EDF) due to its elevated levels of polychlorinated biphenyls (PCB’s). They recommend that adult humans should eat no more than one meal with salmon per month. Scientists consider wild salmon safer even though they are often found to contain mercury. While there has not been a lot of research, fluoride has been found in some wild salmon along with some PCB‘s. It is possible that fluoride could be more concentrated during the processing for the fish meal used in dog and cat foods. Common side effects from fish oil include burping, acid reflux, heartburn, indigestion, abdominal bloating, abdominal pain and often diarrhea. Any toxins in the fish would be present in the oil unless it is a highly refined quality oil in which case, most of the nutrients are removed. Scientists indicate that spinach contains a small amount of calcium oxalates, a major component of kidney stones. While we know this to be a healthy green leafy vegetable, it is believed to contribute to gout and kidney stones in the human population when excessive amounts are eaten. It may not be a good choice for cat food since the ASPCA warns that it should be avoided completely for any cat with a history of urinary problems. Dogs and cats should have access to ii fresh grass that is fertilizer and pesticide free. Considered safe for humans when used as a food spice or as medicine for short periods of time, but it will upset the digestive system. The flowers, leaves and oil of this herb are used as medicine in human herbology but WebMD clearly indicates that more evidence is needed to rate the effectiveness. Thyme has many culinary uses and Thyme oil is also in perfumes, soaps, cosmetics and toothpaste. It is neither recommended nor safe for daily use in animals. The root of the tumeric plant is ground and used as a spice to flavor and color curry powders, mustards, butters, and even cheeses. The root is also used as a medicine and is being investigated for treatment and prevention of cancer (especially GI tract), colitis, Alzheimers and Huntington's disease. WebMD considers it likely unsafe in pregnancy so breeders should note this ingredient. Tumeric may make gallbladder problems worse, should not be used in people with gallstones or bile duct obstruction, and may slow blood clotting, making it necessary to stop usage 2 weeks before surgery. The new supplement hype is vitamin D. Most pet foods contain Vitamin D3 which is made from cod oil. This fish oil supplies omega 3 but also contains high levels of Vitamin A and there is the added risk of mercury and PCB’s unless the oil is refined to remove it which is rarely the case in cat and dog food. Yucca Schidigera, a desert shrub-tree is a herbaceous plant in the lily family. Yucca extract is known to cause loose stools. It is a saponin (has soap-like foaming action) and has caused red blood cells to burst (hemolysis) in test tubes. Supplement sellers and advocates warn humans not to take Yucca Schidigera Extract for more than 3 months and its safety for children is untested. The AAFCO classifies it as a flavoring agent for all animal feed, while only indicating it as an aid for controlling manure odor in poultry and livestock. Yucca and other such ingredients showed up in holistic pet foods nearly a decade ago but now more pet food makers are including it as a window dressing ingredient in both dog and cat foods. Long term exposure may not be a concern for factory farmed poultry and livestock because they will become part of the food chain in a time span of a few weeks to 18 months, but dogs and cats live much longer. Could there be long term harmful effects on pets if this ingredient is fed for months or years? Yucca Shidigera is fed as a remedy to eliminate the odor in barns. It is even available in liquid solutions for use in treating waste systems on farms. The risks to the health of your dog or cat is not worth the gain of better smelling poop. It would be best to avoid this ingredient. This is a fermentation product and often shows up in lists of Probiotics. It can be problematic for both dogs and cats. Imagine poultry processing with a hormone-free meat supply.